Plug and go! 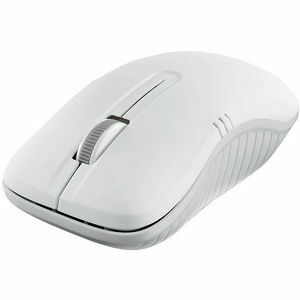 Verbatim Wireless Notebook Optical Mice work great for laptop and desktop users. With a receiver that's small enough to plug into your computer and leave, these mice offer 2.4 GHz wireless performance - that means no delays in cursor movements and fewer cords to pack. The receiver can be stored inside the battery compartment for safekeeping. A 1200 DPI optical sensor provides smooth, precise tracking while the sleek design offers a smooth, contoured comfort grip for right or left hand use. Small enough to fit easily into bags and totes, Verbatim Wireless Notebook Optical Mice make it easy to plug and go!